Hey, are we sure this is from ESPN? If the background is any indication, then Ultimate will be receiving only about 75% of ESPN's regular coverage as "SPN". 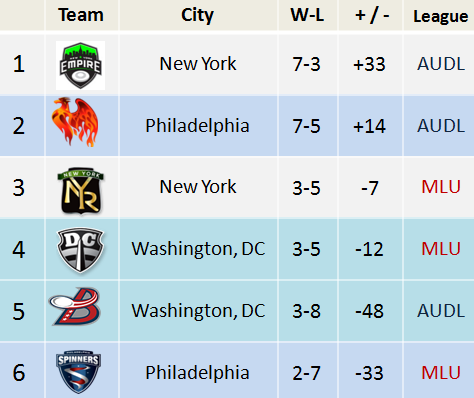 Three cities have 2 professional Ultimate teams - Philly, NYC & DC. As each team attempts to carve out their market in the same locale, here's how their records (so far) compare by 1) combined as a city & 2) in relation to each team from overlapping cities. DISCLAIMER: I am not a photographer, nor a videographer. Pardon any poor panning, shakiness & lack of close-ups. ENJOY! In the 13 pro games this past weekend (April 27-28), a total of 500 points was scored. (Avg = ~39 pts/game*.) Compare to last week. What better way to spend Weekend Eve of Rachel and Michael's nuptials than with their Ultimate family/team?! Sludge zone defense was definitely invited to the party as Matthew tallied a handblock, which Henry then hammered to Rachel; 1-0. Sarah's upline flick to Jen; 3-1. Nigel’s high release backhand to Rachel; 4-2. And, Andrew's rejection of a deep throw which led to a deep flick from Brian to Russ; 6-3. After 10 points (7-3) Sludge missed on 3 score attempts at close range. Up until this point Sludge's play was flawless – forcing turnovers on D, scoring when on O. Further, Matthew then got smacked on a backhanded compliment follow-through. Unrelated, the "Sideline of Conflict" began its intrusion. 7-7. Sludge took half 8-7 on a 40-yard backhand laser from Russ to Rachel. David, who returned to the playing field for the first time in one year, caught dropped his first point of the season; 10-9. Backhanded Compliment went on a run as Sludge was throwing the disc like it was a tossing a bouquet. (Hey, why doesn't anyone want to catch it?) 10-13. At 11-14, Sludge began its comeback - Christy's forehand to Rachel; Mike's sky catch and score to Sarah; Mike's swing-hammer to-Andrew-to-Sarah-to-Jen; Rachel's "bookends" (D, then score); 14-14. Sludge continued its defense-makes-offense run with Sarah's D which led to Nigel's leaping catch from Jen's flick, and finally, Russ' bookends with a handblock and then catch of Charlie's looping backhand. Win 16-14. The defense of Sludge continued its early dominance. 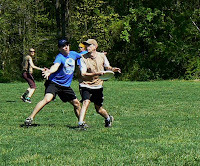 Matthew's mis-Callahan turned into an easy score from Michael to David; 1-0 (David's first Ultimate score in 1 year.) Mike's flick to Michael made it 2-0, but marked the end of Mike's cleats as we knew it. R.I.P. Cleats. There were glimpses of flow brilliance by Sludge, albeit against an opponent who was also playing in their second game of the day. Michael-to-Christy-to-Nigel-to-Brian on a break point; 5-2. Matthew-to-Charlie-to-David-to-Brian; 7-3. Sarah-to-Christy-to-Nigel-to-Brian; 8-6. The numbers of Sludge may have been low, yet the Sludge points kept up in the second half. Brown held serve while on O and breaking Absinthe Minded 5 times. Win 15-9. Major League Ultimate's publishes a weekly "Injury Report" (IR) which lists inactive players, plus injured players and their status. Week 1 quantity = 34, Week 2 quantity = 44; an increase of 29%. "Approved Absences" quantity: Week 1 = 7; Week 2 = 15. DATA SOURCE: Week 1. Week 2. *Quantity is based solely on published reports. Some listed players did/do play in games. Armand Lione, fellow local ultimate player & friend-of-Sludge, is involved in a letter writing campaign to the White House. 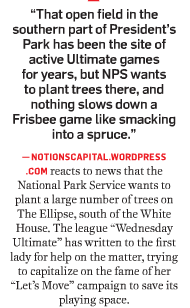 His cause is trying to prevent tree planting on The Ellipse because new trees are disrupting the open space to play Ultimate. This location was the former site of Saturday morning pickup. The second full weekend of professional Ultimate games continues. The first AUDL rematch (Rev v Wildfire) happens, plus the first back-to-back game in the MLU. Betting lines - the spread & points total (Over/Under)- for professional Ultimate are for entertainment purposes only. 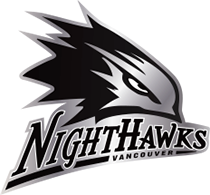 "The Greatest" happened in the first quarter of Saturday's Vancouver Nighthawks vs Seattle Rainmakers MLU game. Watch video of "The Greatest" saved/thrown by Seattle's Sam Harkness and caught in the endzone by teammate Donnie Clark. Saturday, April 20, 2013 marked the first time professional Ultimate was played in the Washington, DC area. 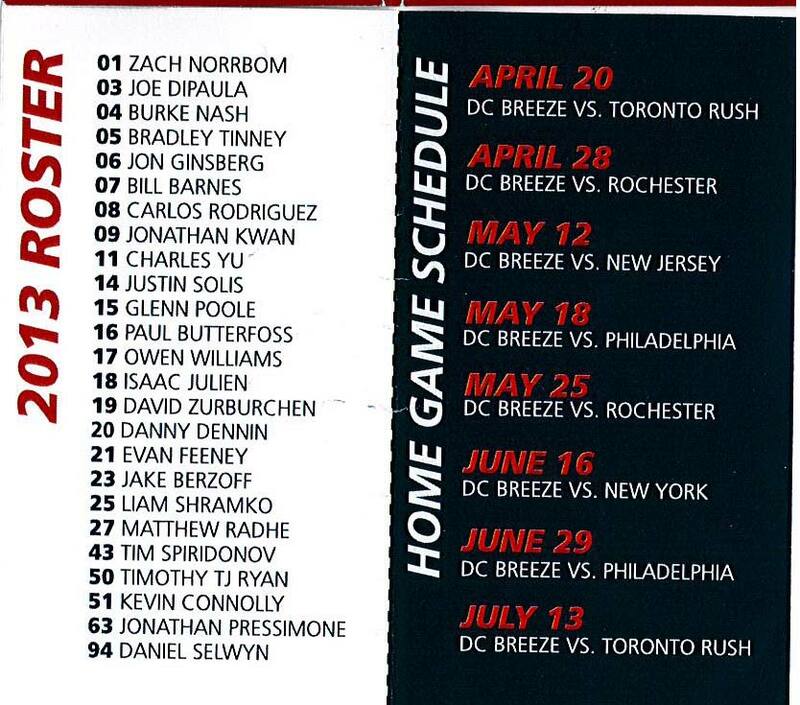 DC Breeze (AUDL) played in the afternoon in Anacostia, while DC Current (MLU) played at night in Silver Spring. 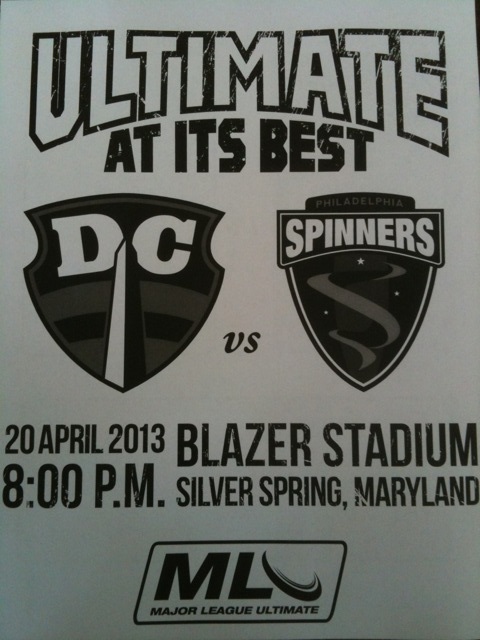 View the remaining schedule for the DC Ultimate teams. As this was my FIRST official pro game, I was very excited. It was a gorgeous day, I knew several of the players playing, and quite a few folks in the stands. There was a small contingent of Rush fans who traveled from Toronto to see the this game. 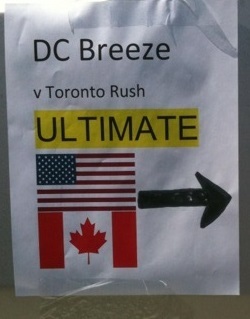 Directional signage for DCB v TOR game. To begin, the players came running down the stand stairs to take the field. Fans quickly lined up to high five all of them as the players came down (in cleats no less). I could tell some of them were quite nervous, and I hoped our high fives and go get ems would help alleviate the nerves. Some good friends had brought their little boy who was quickly given a "frisbee camp" handout. Chuck Yu (Breeze #11), who had been my captain in WAFC's Night Owl League, had quite a contingency of shirtless fans on hand, who had letters on their chest which spelled out "YUUUUUUUU!" and yelled the same each time Yu took the field. A beautiful rendition of the National Anthem was sung, but without a U.S. flag, and then after a brief confusion, 'O Canada' was played over the loudspeakers. They also had a fresh DJ who played one of my favorites, the Humpty Dance, which always brings a smile to my face. In one end on the stadium hot dogs, sandwiches and water were for sale. 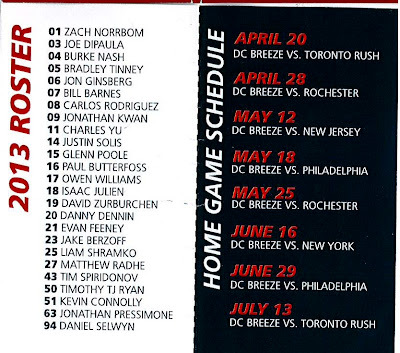 I liked the handout we were given; it was nicely printed, and had the much needed player roster. I was glad that I attended the game with someone who knew the official rules for professional Ultimate, and informed me of the quarters, and the "penalties" concept. I was amazed that the referees, whom I didn't recognize from the ultimate community, actually knew the rules and were ready to officiate! I enjoyed being able to follow the score on the scoreboard (even though the Breeze weren't doing so hot) and I liked the game clock counting down for each quarter, since that was a new concept for me. The emcee was a bit corny, but injected excitement during Breeze scores. Halftime also was super awesome as fans were allowed onto the field to throw and Spikeball was setup on the field. They had a contest in which 4 fans attempted try to get a Frisbee through the goal posts! (Again, how fun!) Two dudes were great using hammers and even a Frisbee novice had a shot at it. At the end of half, they also threw discs into the stands. Even though the Breeze didn't win, I loved the camaraderie in the stands, and how everyone's love of Ultimate shined through. This game was located in a great location from my house. (Hello, less than a mile away, I could bike there!) I had been told beforehand that this was the "game to see", and that this match-up would be closer than the afternoon game. There was a large parking lot adjacent to the stadium which gave fans space to play Bendercup &, I think croquet before the game's start. DCC v PHS handout. Rosters on reverse-side. So, this competitive game constantly had a one or two point differential - DC being ahead by one most of the game. The plays were pretty exciting. A few key moments were: 1) huge jump and D by Delrico Johnson (Current #55). Awesome! 2) A DC player (not sure who) caught a score and then celebrated by throwing the disc high in the air, resulting in them having to get a new game disc. Hysterical! There was no halftime entertainment, except for the players throwing on the field. Fans found some space off to the side of the field to play pickup during halftime as a way to keep warm during this chilly night. T-shirts were also tossed into the crowd. At this game there seemed to be more refs, and there seemed to be familiar ultimate faces in the crowd. Thank goodness I sat near someone who made sure everyone around him knew what the score was, since no one else was keeping track, and the scoreboard didn't work. I really thought the Current was going to win, and was sad when they did not, but thought they played really hard. The DC Breeze game was more fan-friendly even for folks who aren't in the Ultimate community. The DC Current game had a club tourney atmosphere, and focused only the game as there was no fun music between points and no concessions. The biggest drawbacks for the DC Current were the technical difficulties - the scoreboard didn't work, and the public address (PA) system had an incredible amount of feedback which was seriously rough on the ears, not to mention, you just couldn't understand the announcements. NIKE is sponsoring Ultimate camps. I repeat, NIKE-sponsored Ultimate camps! NIKE - a friend of Ultimate/frisbee - now offers one of their sports camps on the Ultimate game. Info: At NIKE Ultimate Camps our goal is to stimulate a love for the game by immersing you in the sport and giving you the kind of focused, intensive training essential for your improvement. We provide players of all ability levels the opportunity to improve their game, work hard, make new friends and have a lot of fun. 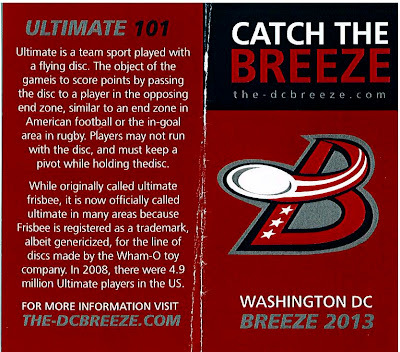 Attendees to the inaugural professional Ultimate game in Washington, DC (DC Breeze vs Toronto Rush) were given a promotional pocket flyer. Printed double-sided; 3.75" x 4.25" & folded), it includes a 2013 roster, schedule of home games and background on ultimate in 'Ultimate 101'. 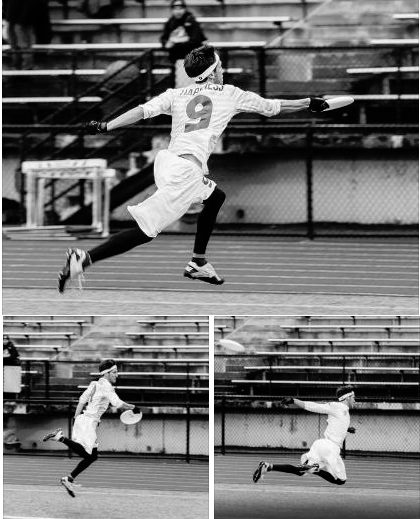 Ultimate is a team sport played with a flying disc. the object of the gameis [sic] to score points by passing the disc to a player in the opposing end zone, similar to an end zone in American football or the in-goal area in rugby. Players may not run with the disc, and must keep a pivot while holding thedisc [sic]. 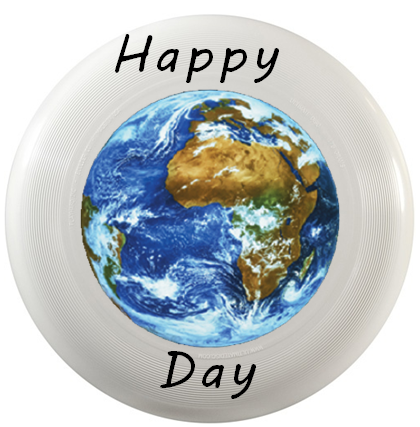 While originally called ultimate frisbee, it is now officially called ultimate in many areas because Frisbee is registered as a trademark, albeit genericized, for the line of discs made by the Wham-O toy company. In 2008, there were 4.9 million Ultimate players in the US. 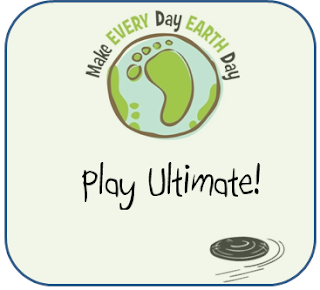 Thank you Earth for providing fertile space to play Ultimate. Keep spinning! The timed game format in professional Ultimate leagues allows for more scoring than a traditional "to-15" point game. 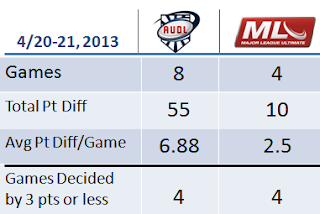 The MLU averages about the same as a very, very close to-15 game. In the 12 pro games this past weekend (April 20-21), a total of 487 points was scored. (Avg = ~41 pts/game*.) In an obtuse comparison, this point total would be 32, no, 12 Ultimate games played to 21-20 - NEVERMIND. Also, home field advantage was not a strong factor in this past weekend's games. 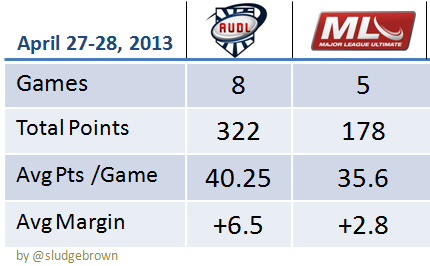 Both pro leagues had four games decided by 3 points or less. All the MLU games (4) in their inaugural week were very close - either 2 or 3 points; while half (4) of the AUDL weekend games were decided by 1 point. 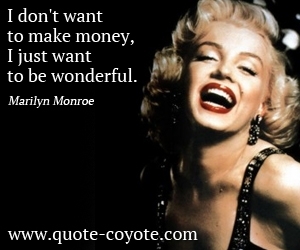 I just want to be wonderful." Before the seasons starts for all teams, here's a follow-up to the initial posting of the social media popularity of professional Ultimate teams. 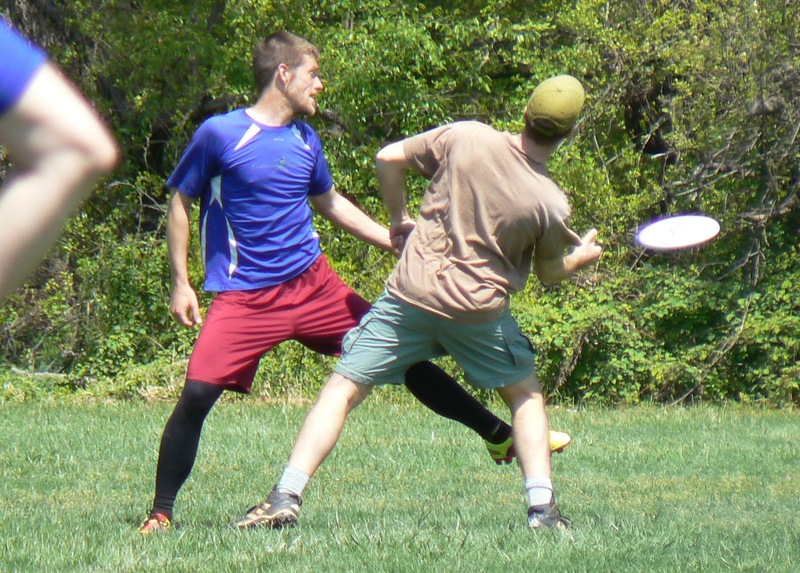 Philadelphia Spinners are the most popular pro Ultimate team on social media. -5 (Dragons), -6 (Radicals, Wind Chill). Largest jump in twitter rank: +4 (Whitecaps, Nighthawks), +3 (Wildfire, Rainmakers, Dogfish). 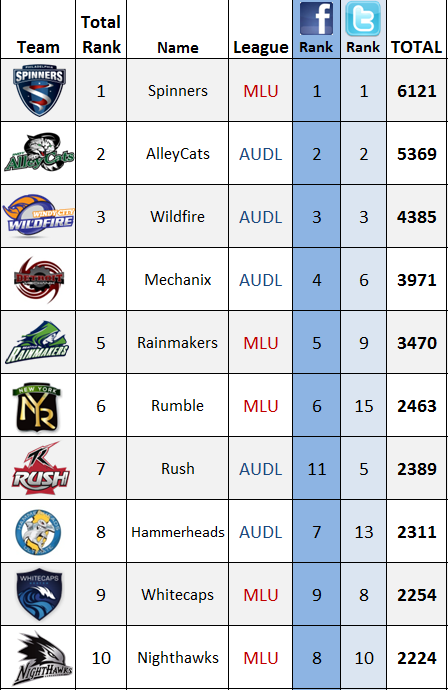 6 out of 8 teams - all from MLU - saw a +100% increase in social media (the 2 MLU teams that did not: Spinners 19%; Current 94%.). 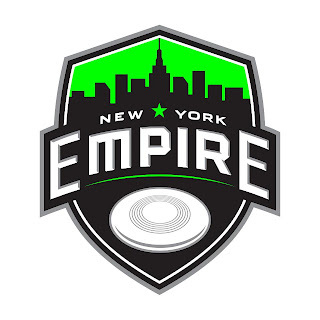 The series evaluating the 20 team logos and nicknames of the professional Ultimate leagues is complete. 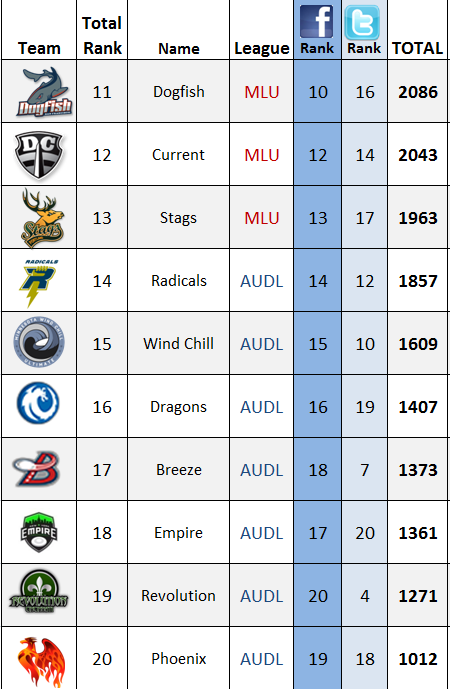 A compilation of final grades for the AUDL & MLU teams are below. 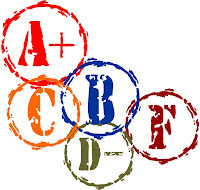 View full 2013 reviews and critiques for all 20 teams. 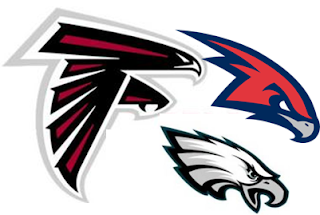 Based on history (2012), a well-reviewed logo meant good things for the top 2 teams from last year. A big thanks to Eli Neugeboren for contributing to this series. Background: As any Seattle resident is happy to keep secret, Seattle is more "overcast than rainy." A rainmaker is: One who is known for achieving excellent results in a profession or field, such as business or politics. In slang, to "make it rain" is an inappropriate term as used in Make It Rain (2006), Fat Joe featuring Lil Wayne. 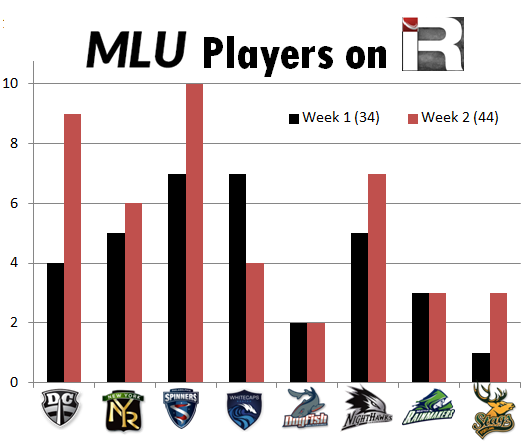 Read MLU's name rationale. First impression(s): An REI advertisement for rain gear. 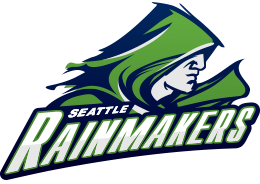 Also, the past Rainmakers logo looks very much like the DarkSide Emporers. Eli's Eval: (Nicely drawn and the face resembles Bill Belichick.) I have a little voice in the back of my mind telling me I've seen this before. In my experience that either means: 1) I have seen it and this drawing is a copy of something that is already out there, or 2) it is new and iconic and timeless. I looked and looked and couldn't remember where I'd seen it. Then, in a flash, it came to me: the Providence Friars. The Seattle Rainmakers logo is highly derivative of the look + feel of the Providence College Friars' logo, with only the colors changed; possibly, even, a direct ripoff! I expect PC lawyering up and throwing a Cease & Desist toward the Rainmakers, and a new Rainmakers logo in the near future. 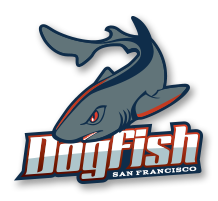 Thoughts on this MLU's team name & logo? 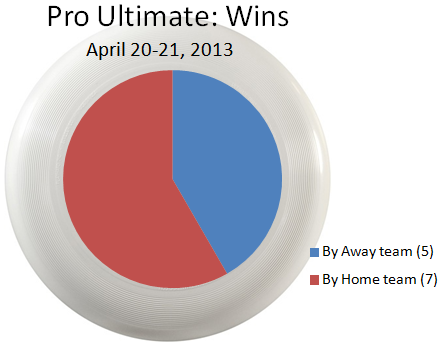 The first full weekend of professional Ultimate games starts on Saturday, April 20. Betting lines - the spread & points total (Over/Under)- for professional Ultimate are for entertainment purposes only. Background: New York is nicknamed 'The Empire State' for its national and global significance. The origin of the nickname is unknown, yet some sources credit George Washington who referred to New York state in December 1784 as "...at present the seat of the Empire." The Empire State Building (ESB) was built in 1931 and was the tallest building in the world from 1931 to 1972. Interestingly, when Red Delicious & McIntosh apples spawned in 1966, it created the first Empire apple variety. And, of course, Empire State of Mind is a very popular song (2009) collaboration between Jay-Z & Alicia Keys. 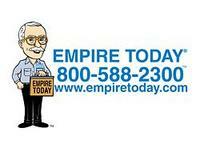 First impression(s): This commercial -- 588-2300...EMPIRE! Eli's Eval: (Full DISClosure, I live in Brooklyn.) Ahhhh balance. The first of these logos to seem both contemporary and somewhat timeless. The fluorescent green takes away from that a bit, but the shield, the balance composition, the skyline, all add up to create a legitimately good logo. The disc is on a bias, but it moves the eye into the type, which is arced up into the skyline. The center of the skyline is the antenna at the top of the Empire State Building, piercing the top of the shield. Ahhhh balance. Background: The "Rumble in the Bronx" (1995) movie is genre potpourri (martial arts action comedy film) which was Jackie Chan's breakthrough into American film. As mentioned in the MLU's name rationale, there's a famous 'rumble' in the American musical "West Side Story" where the two gangs square off in their scheduled "fair fight". The WSS 'Rumble' demonstrates beautiful, non-contact artistry up until... (SPOILER)...the very end. First impression(s): Just another interlocking NY sports teams logo in different colors. 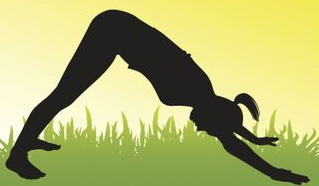 The N+R appear to pattern downward dog yoga position...I dunno "Y". Eli's Eval: Over edited and under-edited at the same time. They had an idea about removing parts of letters and allowing the Y to finish them, but they didn't sketch enough before going to final. Why is the "N" higher than the "R"? Why didn't they just line those two letters up and allow the viewers eye to have them share the post of the "Y"? There is also no rhythm or consistency to the rendering of the letters, as if this was a sketch that got approved yet never updated. Don't get me started about the fake metallic gradient - it serves no purpose and is ugly. Is it supposed to make us think of brass knuckles? 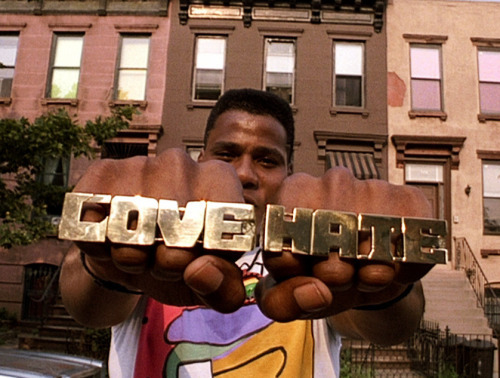 So then why not make the "NYR" into a three-finger ring and just go there? Lazy execution. For instance, what is that empty nub protruding out of the top of the green banner? 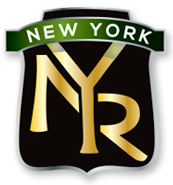 I'm guessing it is supposed to be an extension of the badge, but it both makes no sense visually and serves no purpose graphically; delete it. Background: A nighthawk is not a true hawk since it has no large, strong beak or talons; rather, it's an American bird with long wings. Who can forget the 1981 film "Nighthawks" starring Sylvester Stallone? Not to be confused with Edward Hooper's "Nighthawks" painting. Read MLU's rationale for the team name. First Impression(s): This nighthawk shares the same hair stylist as Sonic the Hedgehog. A spiked/shard hairstyle isn't for everyone, but is totally punk. Eli's Eval: The hawk head is a really fun drawing, even if it is reminiscent of other feathered mascots. The tiny beak and wildly feathered back make it look aggressive and aerodynamic and nasty. Like one of those 5'6" squirrelly handlers who doesn't look like much and then torches your team for an hour straight. The type is too delicate and does not contrast well with the hawk head. The choice of a serif font puts it in competition with the hyper backside of the hawk head. The weight of the type is fine because with the heavy stroke outlining it, it has enough weight to balance the hawk. I think the hawk head needs to live without the wordmark, because the they are both too detailed and competing with each other visually. Background: In American football, a "rush" is running the ball (on offense) or crossing the line of scrimmage (on defense). I also know of a "Frisbee Rush" game. 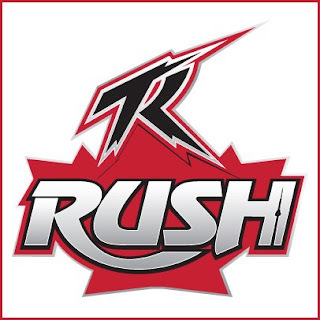 The Toronto team name is, of course, influenced [see very end of post] by the popular progressive rock band from Toronto, RUSH. First impression(s): A very early beta version of a ninja star, eh? Or, an electrifying poster for a prog rock band promoting its Canadian tour - oh wait! Eli's Eval: Another generic-sounding team name results in a generic-looking and uninspired logo, with a horrible case of flaccid foot. A well-executed and designed logo (the lightning-y "TR"), but not inspired or inspiring. Hey, we're from Canada, so let's put a maple leaf in the logo! Better than a dinosaur dribbling a basketball, but not by much. It took me a few views to realize that the scribble in the "H" is the CN Tower; this could be a nice detail but feels slapped on after the fact. The extension of the foot of the "R" is not fluid yet a nice idea, echoing the classic Rush logo. The execution is very poor: the lines go in and out for no reason, breaking the even rhythm of the consistent thickness of the font, and where it ends is angled off the baseline leaving a tiny little distracting triangle of background poking through. It's fine; they wanted Geddy Lee but got Tommy Lee instead. 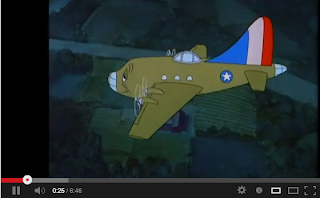 Background: As mentioned in this ABC feature, dogfish is a type of shark. The spiny dogfish shark is very abundant, and is the most common shark alive. Dogfish are not considered to be dangerous, but some damage could be done by their teeth and their slightly poisonous dorsal fin spines. Read MLU's rationale for the team's name. Dogfish Head is also a popular craft brewer. Eli's Eval: Simple and cartoon-y, but not too cartoon-y. This looks like a lot of contemporary professional and college logos or contemporary updates to older logos, right down to the fact that the mascot here is angry. The city name is gently tucked underneath the team name, a choice that could easily be reversed for home/away instances. The type on the city name is a bit too small to be legible from a distance, but I won't quibble because the team name is clearly legible. The colors are muted with a bright orange accent that is used sparingly but does a great job adding contrast and directing the eye. From top to bottom this is the best of the bunch. Everything works together, the type is professional as is the logo. 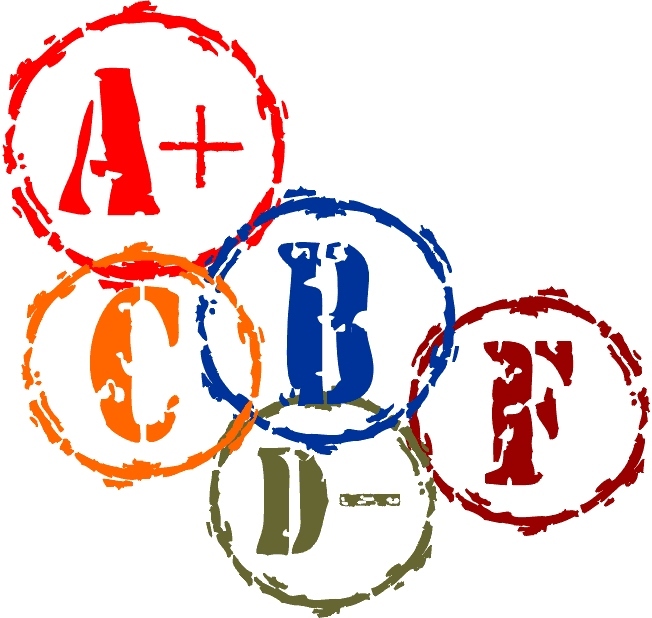 Each individual part is balanced but they also work as separate elements, which is necessary for this type of branding. 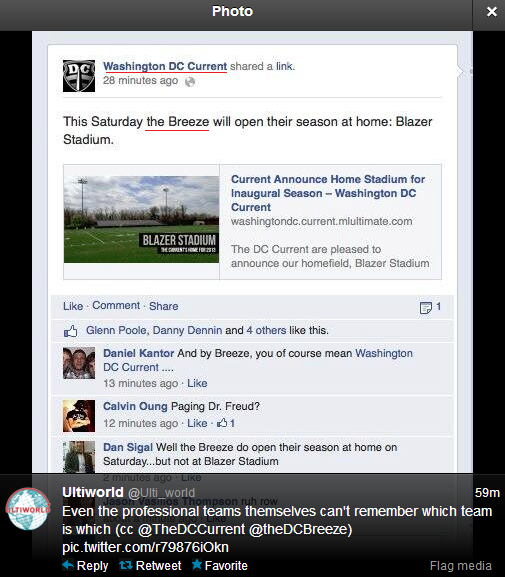 DC Current attempted to announce their home field for their inaugural 2013 season on Facebook today, but incorrectly called themselves their intra-city rivals, DC Breeze. 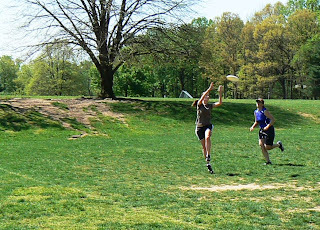 Washington, DC is one of 3 cities with a team in both professional Ultimate leagues. 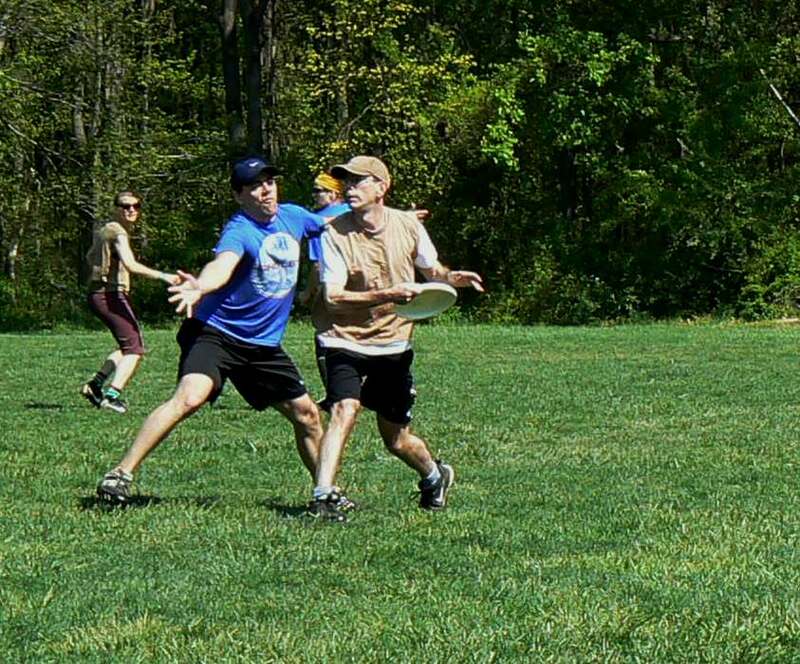 Ulti_world tweeted the DC Current's Facebook goof. Background: The Dragon is one of the most powerful and lucky Chinese Zodiac signs. 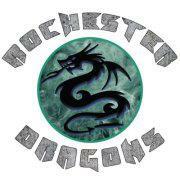 Dragon is a karmic sign, which means they will experience more than a few extreme highs and lows in their lives. The downside to the Dragon is that some are wildly unrealistic with their big plans, while others are simply all talk or show and no action. 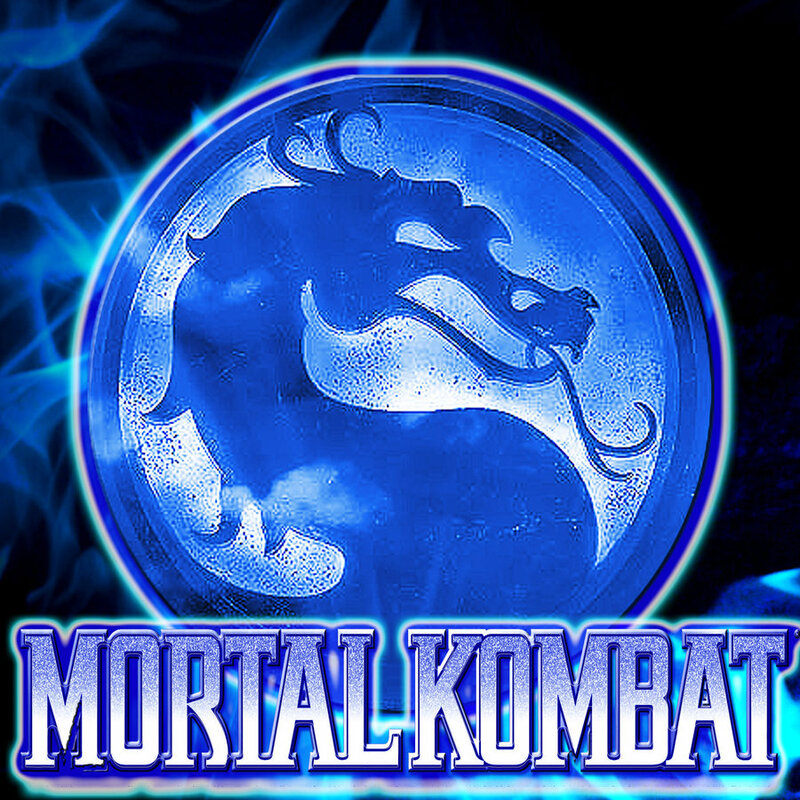 First impression(s): The Mortal Kombat Tournament on ice? 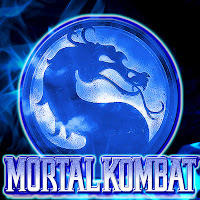 The Mortal Kombat Tournament on ice. Eli's Eval: Nothing wrong with a mythical creature as your mascot. 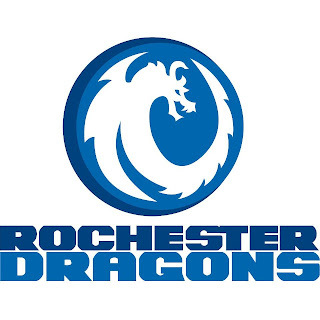 Like the Indianapolis Alley Cat, this dragon has a head and tail, but no body. Not worried about legs, this dragon is closer in origin to Ouroboros, the world serpent, with no visible legs, just a head a tail and wings. The dragon is flat but is still given a good amount of articulated detail in the wing and tail and horns.The circular dragon logo is iconic enough, if a little embryonic from being forced into a circle. The type has been give the app store treatment, in some instances, which results in a metallic feel that has no relation to the dragon logo unless maybe it is meant to represent armor or hoarded silver. The font choice is modern and reminiscent of the ROBOCOP logo, which also has very little to do with creatures of fantastical origins. The blocky font is illegible at smaller sizes so they could definitely benefit from some sort of "RD" monogram treatment. They did not leave any space in or around the dragon for it, so it would have to be a separate element, much like the current type treatment.